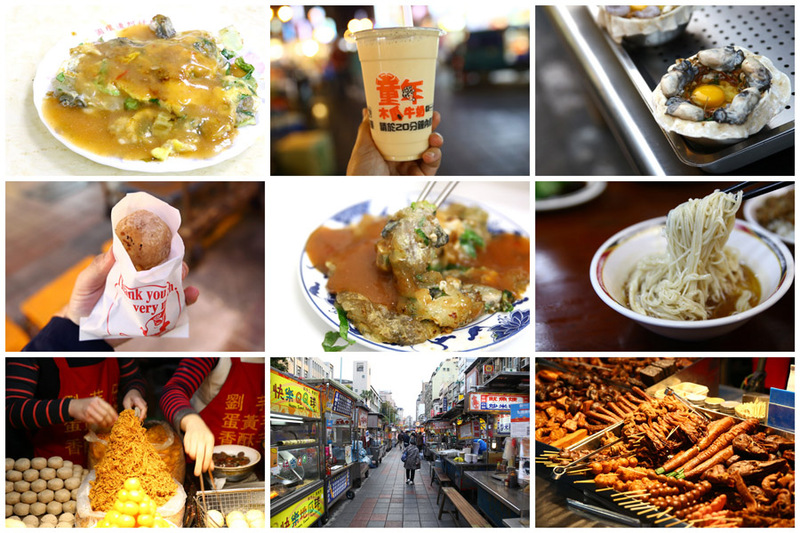 [Taipei] Thanks to Fish Leong and her hit song Ning Xia 寧夏, I always wanted to stroll down Ningxia Night Market 寧夏夜市 while humming to that tune. 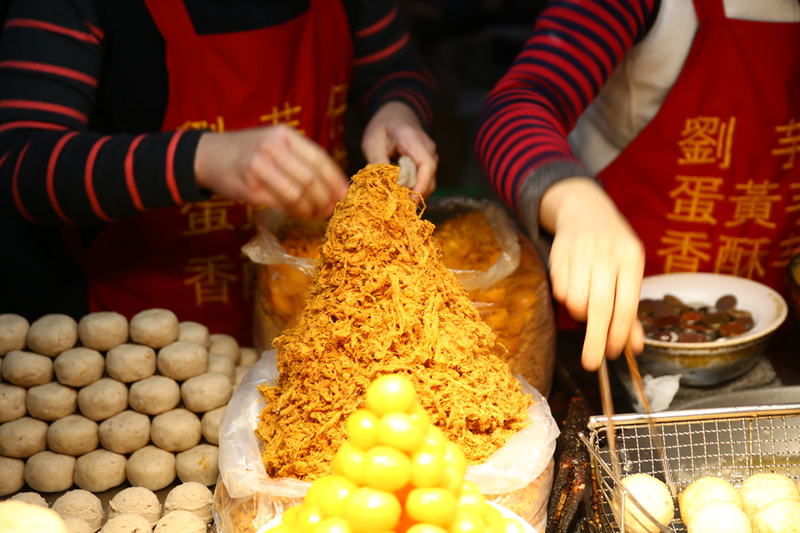 While Ningxia Night Market is considered as a smaller scale food street compared to the other prominent ones like Shilin and Raohe, it doesn’t lose out in the food aspect. 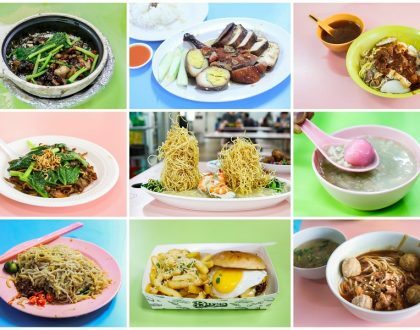 There is quite a variety of offerings, and both tourists and locals are here for its Fried Yam Balls, Oyster Omelette, Pork Liver Soup, Chicken Rice, Braised Pork Rice, Fried Bee Hoon and Mochi Balls. 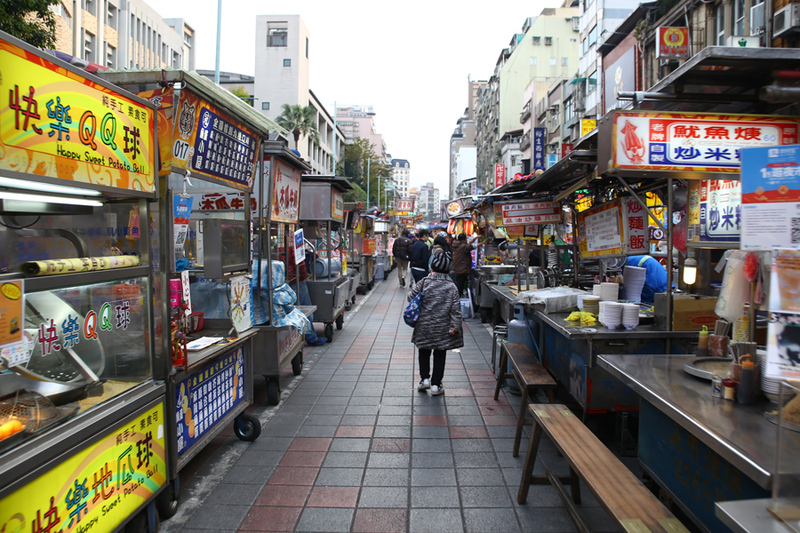 The whole stretch is about 150 metres long, with stalls lining on both sides. So while the crowd can be overwhelming, and walking spaces cramped during dinner hours, navigation up and down would still be relatively easier. 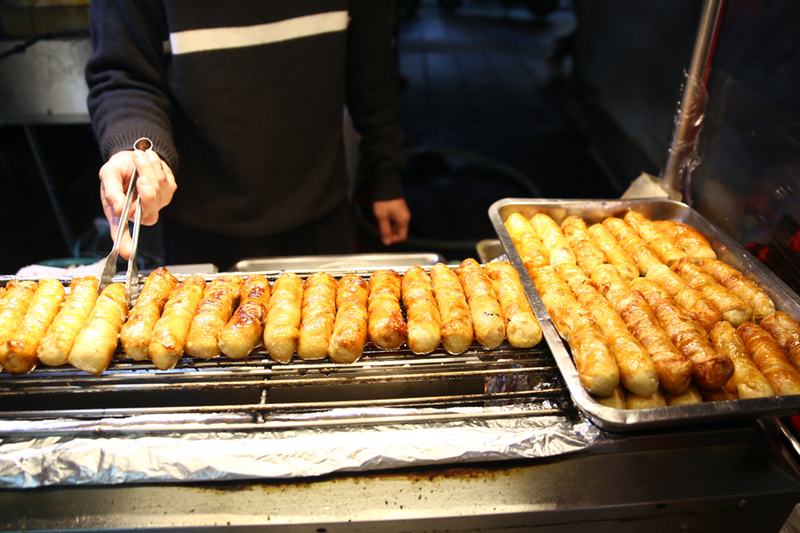 Ningxia Night Market serves up many types of Taiwanese street food, and the notable fact is that many shops around have a history of at least 40 – 50 years. If you are not fussy or overly indulgent on food, I can suggest you dedicate about 1 to 2 hours here. Easily the stall with the longest queue, but the hawkers were steady and fast. Two items are on sale: Deep Fried Taro Balls (NT$15), and Deep Fried Taro Balls with Salted Egg Yolk (NT$20). I suggest getting both – you won’t regret it. 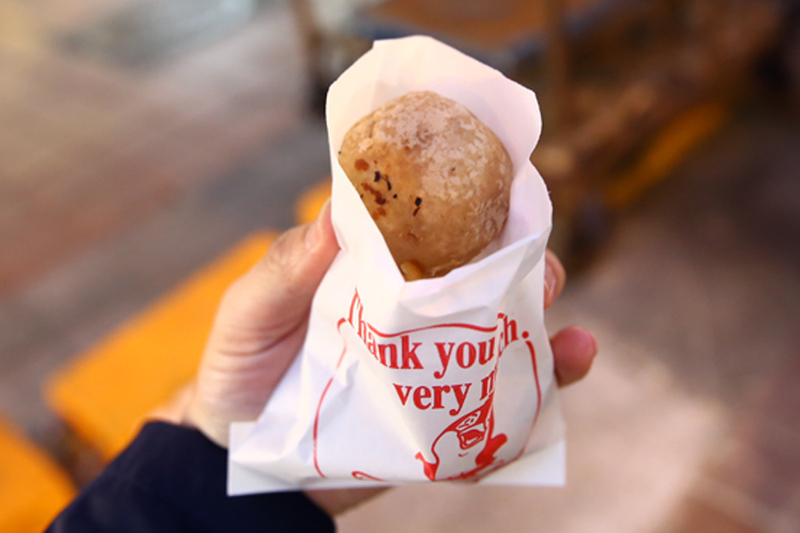 The Taro Balls contain soft savoury pork floss with a ball of salted egg yolk wrapped within. 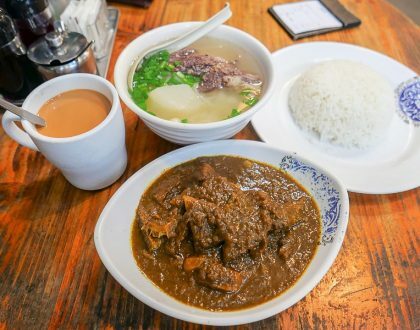 As you take a bite, you could marvel at the softness and natural sweetness of the taro, along with the varying textures of the fillings. Simple pleasure. 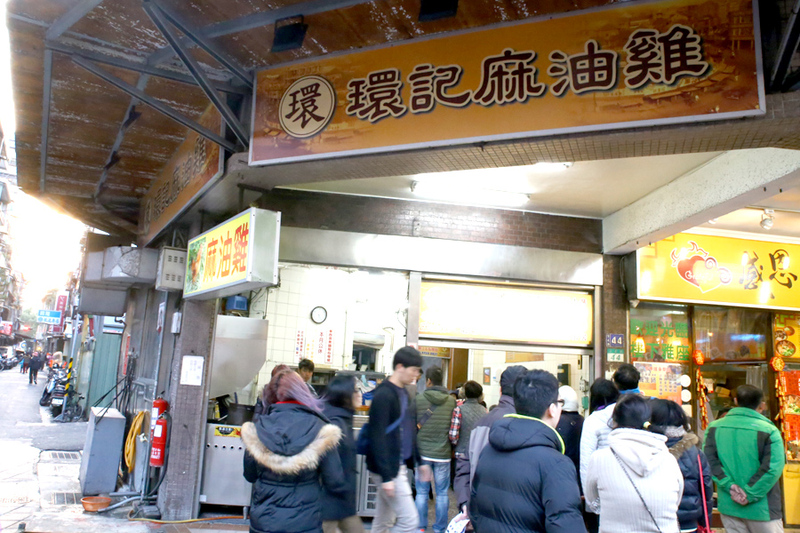 There are 4 shops selling Oyster Omelette at Ning Xia, and this is probably one of the most popular, with some seating space within the store for comfort. 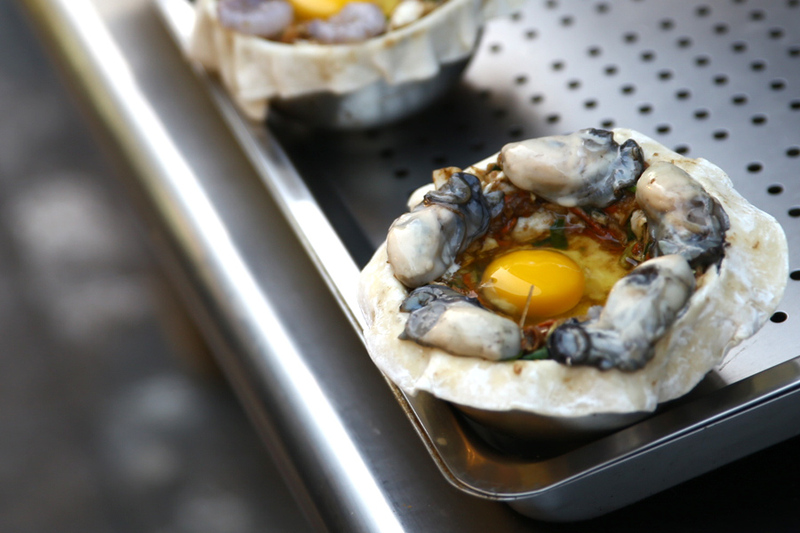 The Oyster Omelette (NT$70) contained plump and fresh oysters, which didn’t have the typical seafood-y smell or strong taste. 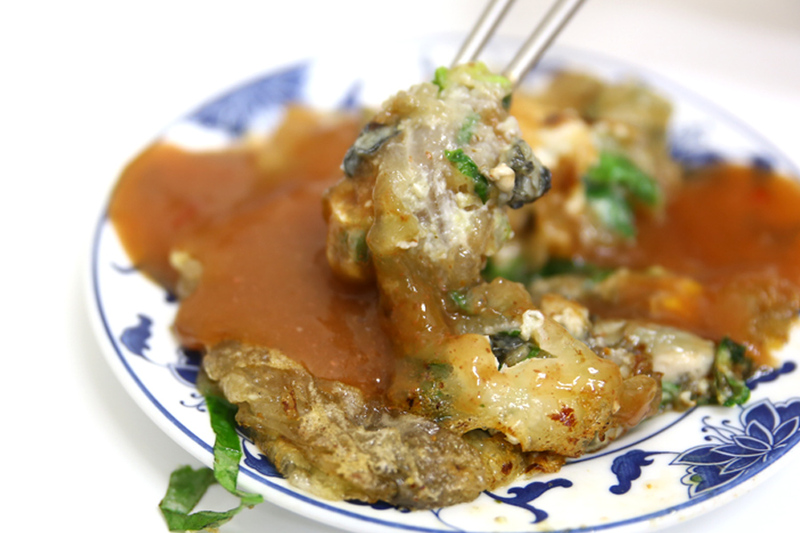 These were cooked in a starchy yet slippery flour mixture with vegetables, the combination surprisingly not overly oily. You can find Lai Ji at the start of the market. 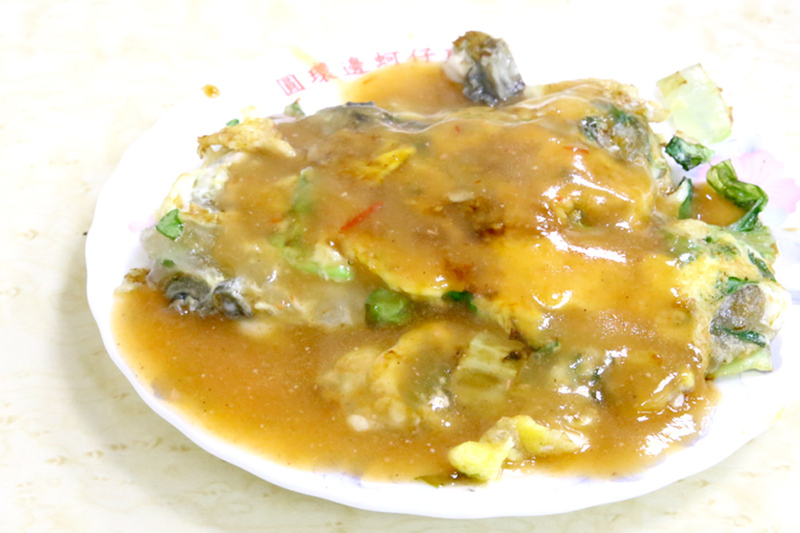 My friend preferred Yuan Huan, while I liked the sweet sauce poured on Lai Ji’s Oyster Omelette (NT$65). Comparatively, this seemed to have smaller oysters. 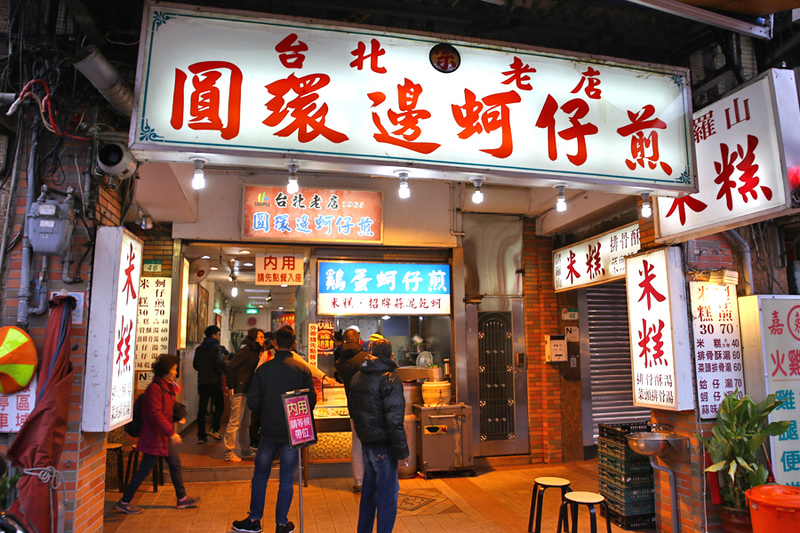 The shop also served other items such as Fried Pig’s Liver (NT$100). To think I almost gave this shop a miss. 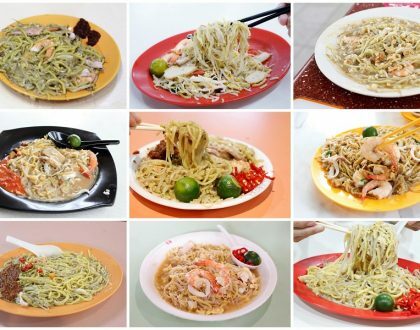 The shop with a history from 1941 is famous for its sesame chicken and mee sua. 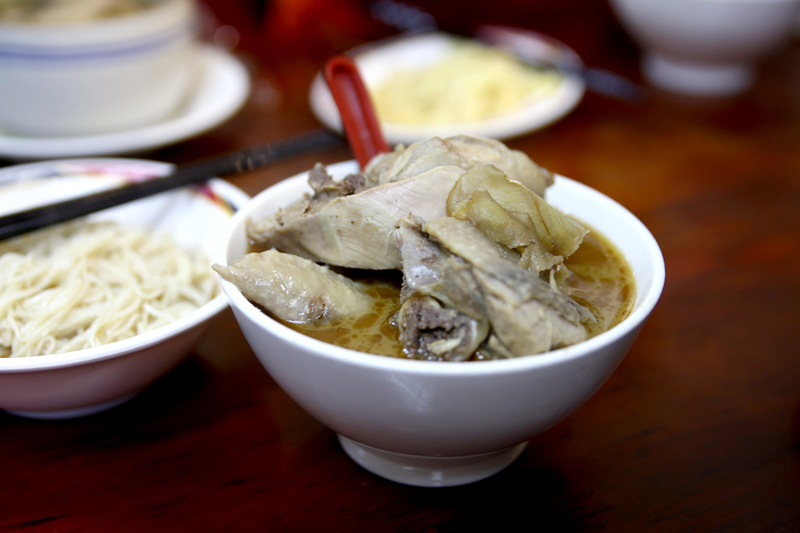 The bowl might have looked unassuming, but upon taking a bite, I was surprised at the balance of firmness with tenderness of the meat, well-lubricated in aromatic sesame oil. The mee sua had an absolutely delicious bite, great for the colder weather. The name came from a Taiwanese-Hokkien word of “Zhu Ge”, which mean “Brother Pig”. 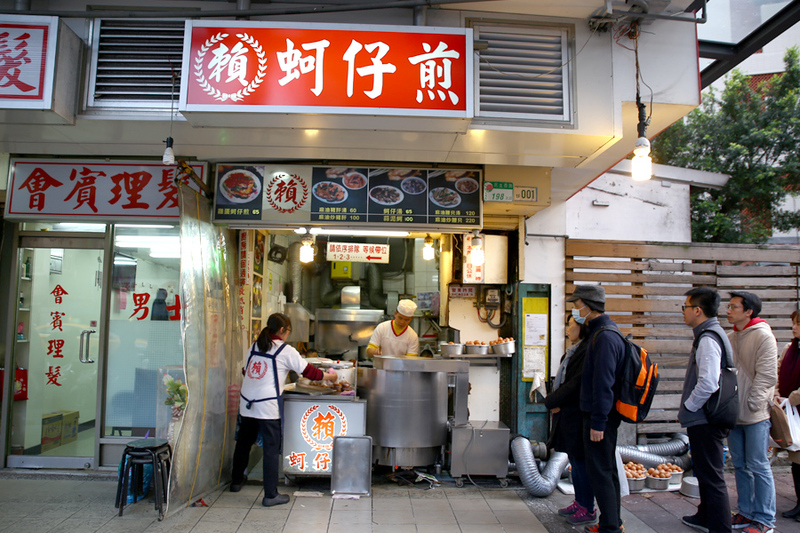 This stall serves up a selection of braised meats and parts such as duck neck and chicken wings. 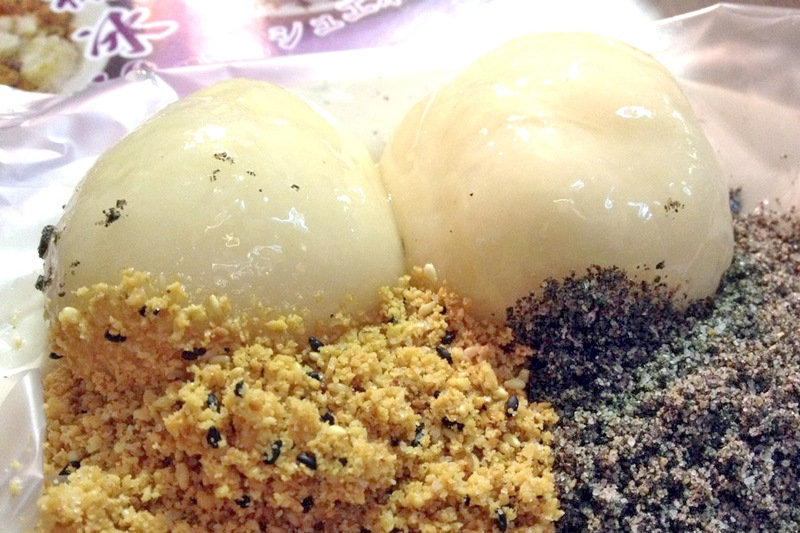 Larger than life Hakka style mochi balls (NT$40 for 2) that are bouncy and chewy, yet not too sweet. Have them with crushed sweet peanuts and black sesame, or in an iced shaving dessert. 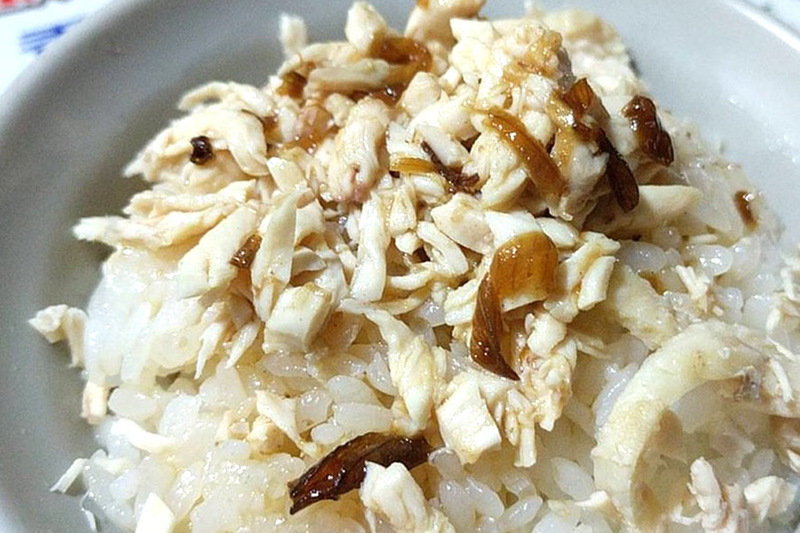 Shredded Chicken Rice (NT$30), Lu Ruo Fan aka Minced Meat Rice (NT$30) and a selection of nutritious soups. 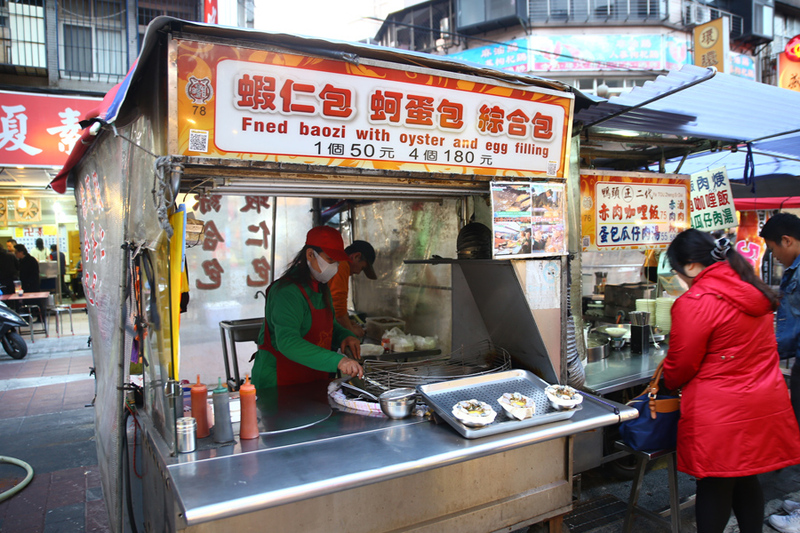 Fried buns with oyster and egg filling (NT$50). 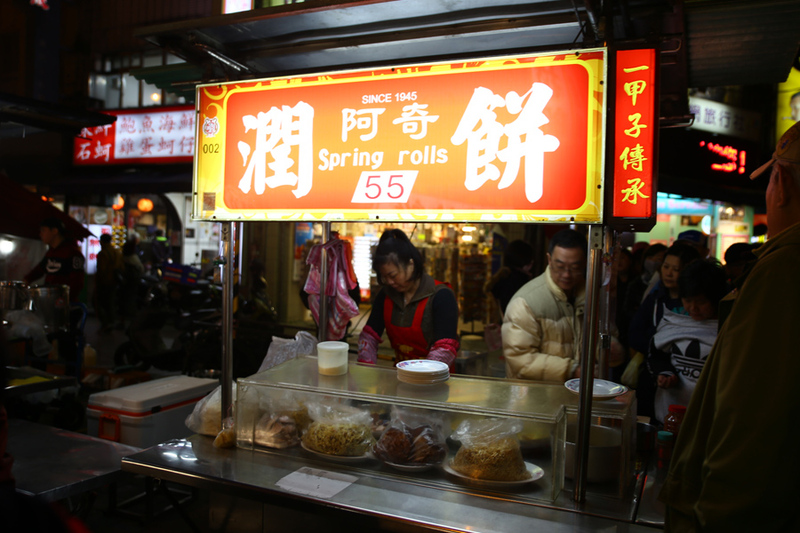 Established since 1945, these Spring Rolls (NT$55) includes a variety of ingredients from beansprouts, pork belly splices, beancurd slices, fish floss… and the most special addition was curry-braised sliced cabbage. A thirst quencher. 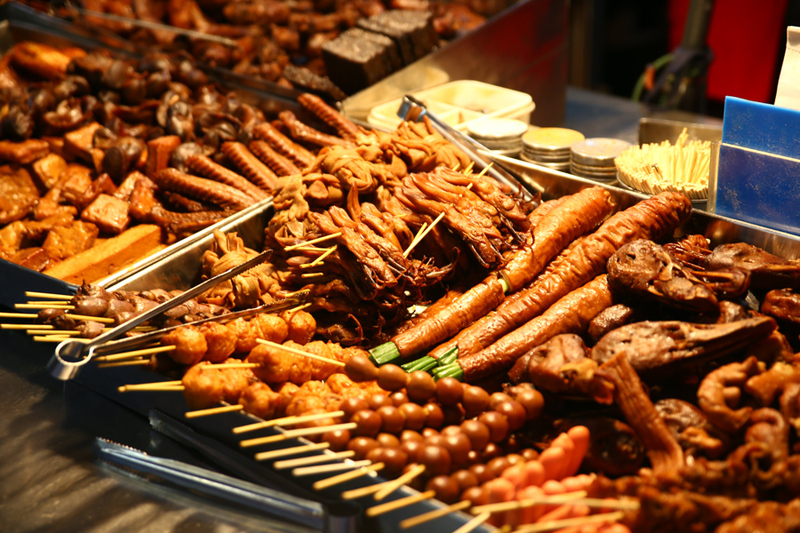 There are 2 stalls within Ning Xia Night Market itself. 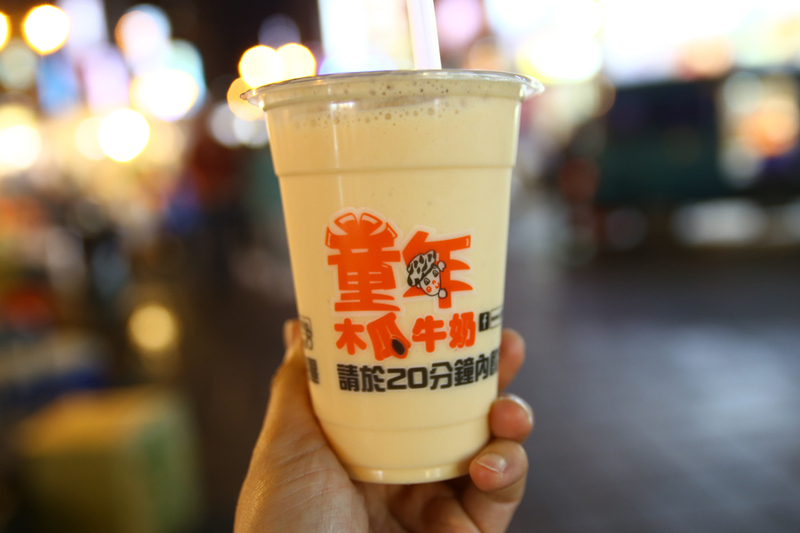 A smooth, satisfying cup of Papaya Milk that was not too sweet or heavy. You can choose your cup without ice. Shuanglian 雙連 Station Exit 1, take a left onto Minsheng West Road 民生西路. 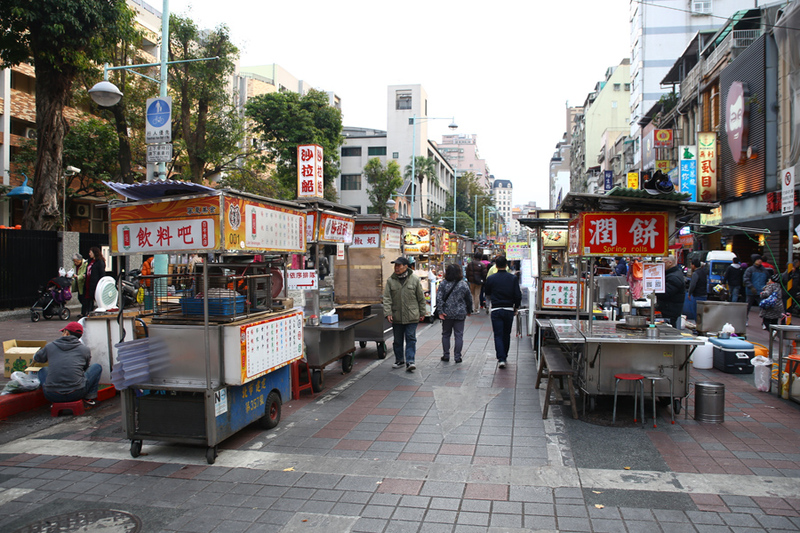 Walk for about 10 mins, and the night market will be on the left side.